We all face ethical dilemmas every day – be that in our professional or personal lives. Yet within the education sector, you might be surprised to learn that there hasn’t been, until recently, a framework within which we can explore and test ourselves against ethical principles. ASCL have argued the case that a ‘clear set of principles, owned by the profession, was needed to help us all navigate the educational moral maze.’ Previously, the only reference to ethics could be found in the DfE’s National Standards of Excellence for Headteachers. So, following extensive research and consultation across the sector, the ASCL Ethical Leadership Commission devised a set of principles and virtues against which we can test our decision-making in educational leadership. 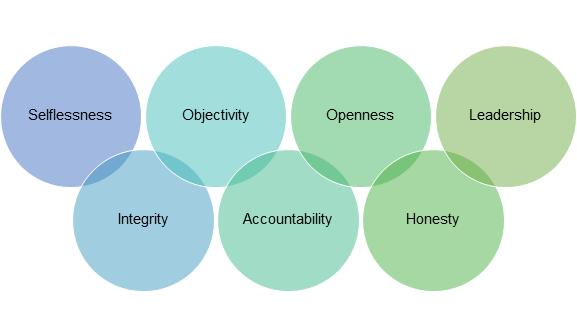 Rather than being another tick-list challenge – knowing there are enough performance indicators to meet already – the ethical framework is designed to be something leaders can engage with at a personal level. These are the standards to which we should expect to be held, or hold others to – and which directly align to our own organisational core value of putting students first, helping them to grow into fulfilled and valued citizens. Trust: leaders should be trustworthy and reliable. They hold trust on behalf of children and should be beyond reproach. We are honest about our motivations. Wisdom: leaders use experience, knowledge and insight. Leaders should use experience, knowledge, insight, understanding and good sense to make sound judgements. They should demonstrate restraint and self-awareness, act calmly and rationally, exercising moderation and propriety as they serve their schools and colleges wisely. Kindness: leaders demonstrate respect, generosity of spirit, understanding and good temper. Where unavoidable conflict occurs, difficult messages should be given humanely. Justice: leaders should be fair and work for the good of all children. Leaders should work fairly, for the good of children from all backgrounds. They should seek to enable all young people to lead useful, happy and fulfilling lives. Service: leaders should be conscientious and dutiful. We should demonstrate humility and self-control, supporting the structures and rules which safeguard quality. Our actions should protect high-quality education. Courage: leaders should work courageously in the best interests of children and young people. We protect their safety and their right to a broad, effective and creative education. We should hold one another to account courageously. Optimism: leaders should be positive and encouraging. Despite difficulties and pressures, we are developing excellent education to change the world for the better.